Train to be a plumber with NexTech Academy. Being a plumber requires specialized training to install and repair the fixtures and appliances connected to the water system in a home or business. Students pursuing a plumbing career at NexTech Academy begin with the basic principles of plumbing, followed by training in drain systems, vents, water lines and fixture installation. The advanced course curriculum focuses on troubleshooting, hydronic and solar water heating systems, private wells and septic systems, and plumbing system design and installation. 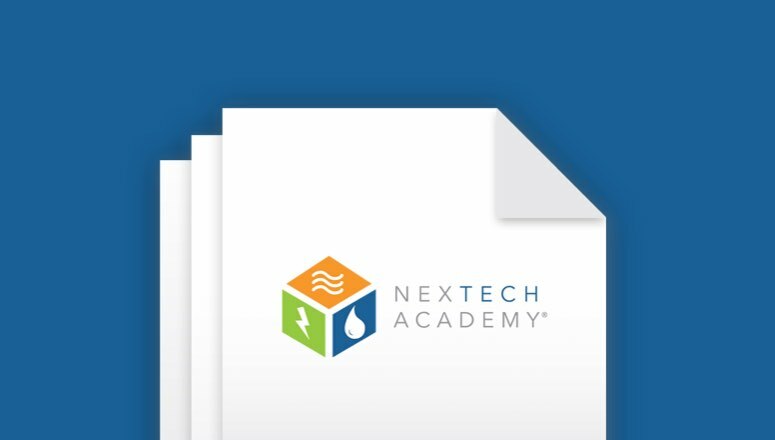 What sets the NexTech plumbing program apart? Students need no prior experience in the plumbing trade. Online courses provide the flexibility to learn at your own pace. Each topic is broken down into modules that combine reading, interactive exercises, quizzes, videos and skills practice demonstrations in the curriculum. Our focused sales and service training program teaches soft skills that build confidence. You’ll get valuable real-world, hands-on experience while shadowing industry pros as they work with customers in the field. Complete your training in about 18-24 months, compared to four to five years under most apprenticeship models. You will be knowledgeable in the tools, safety, equipment and materials needed to complete trade-specific tasks. You will also develop critical thinking skills, business acumen and learn to communicate effectively to homeowners and your colleagues. The NexTech curriculum offers different ways to engage with lesson content. Videos break down complex tasks into actionable steps. You can see how a task should be completed before trying it on your own. Watch a sample soft skills lesson on Technical Jargon. Want to give NexTech a try? To explore our demo and view sample course material, simply submit your email address to receive login information and instructions for access. Skills assessments enable you to demonstrate what you’ve learned in a controlled environment. We use NexTech as a systematic method of training a new employee from a new apprentice to a competent successful technician. The program incorporates both technical training and the Nexstar Service System process in an organized step by step fashion to ensure that staff that are all following the same proven system. It has reduced management time and accelerated the timeline to get an apprentice trained. Ready to begin the enrollment process? 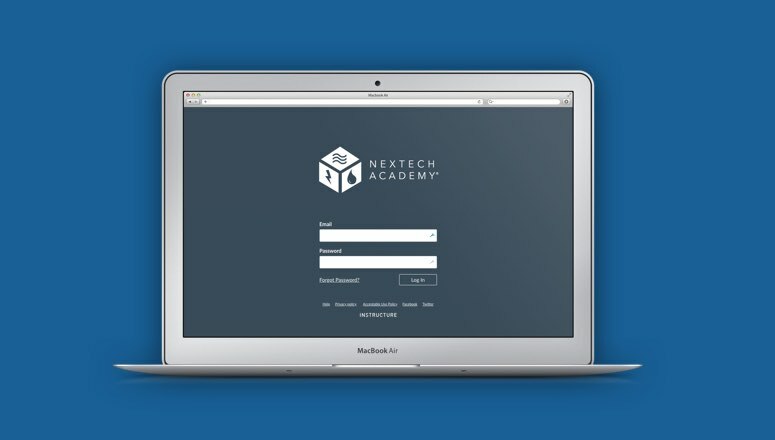 Find out how to get started with NexTech Academy.